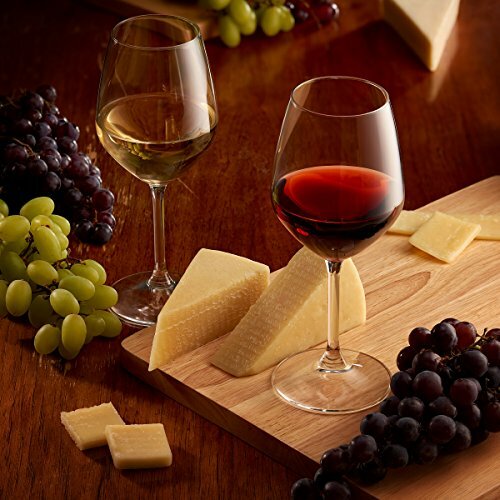 Made in Italy, this exquisite 4 piece, 18 oz wine glass set feature luxurious and luminous Italian-crafted glass that’s sure to turn heads, add beauty to your bar top, and make the perfect Christmas, birthday, anniversary, or any special occasion gift. 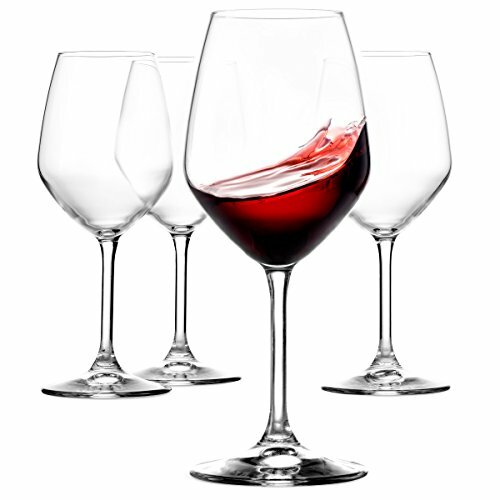 Crafted in Italy Our exquisite 4 piece, 18 oz wine glass set features luxurious and luminous Italian crafted glass that’s sure to turn heads. 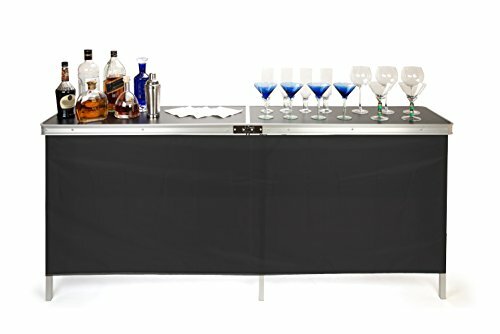 Beauty and Practicality These fine European wine glasses not only add beauty to your bar top, they also brilliantly combine stability, resilience, and astounding practicality. 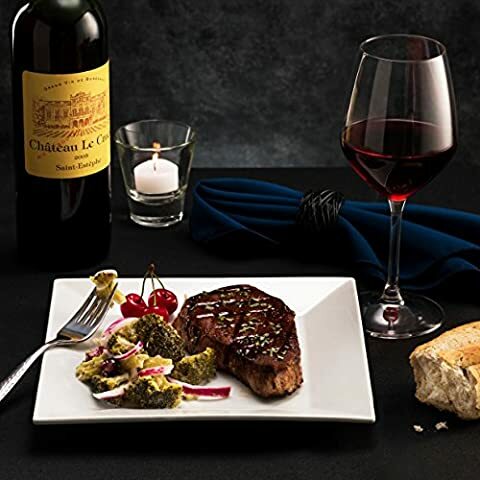 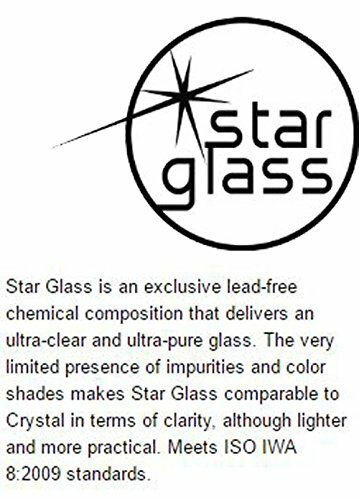 Lead Free Star Glass This special stemware set is made up of exclusive Star Glass; a lead-free composition that produces ultra clear, pure, and stunning glasses. Superior Quality Construction These glasses are made up of the finest quality sand and organic glazes to create the exceptional wine glasses for homes and restaurants around the globe. 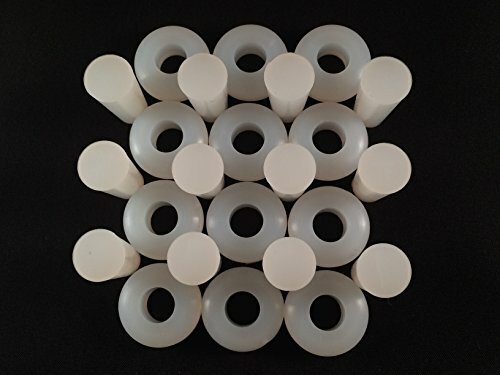 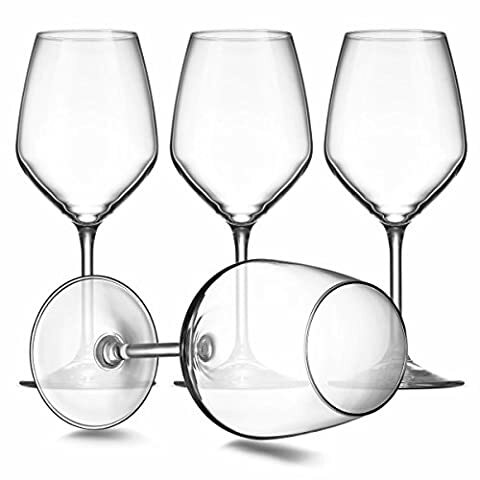 Laser Cut Glass Compliments Hand Contours -This lavish glass wine set is laser cut for uniformly thin rims and a satisfyingly smooth and slender stem that is easy to grip. -Its stout bulb shape feels natural and comfortable when cradled in the hand while also allowing the red wine to breathe enhancing its flavors and releasing its decadent aromas. 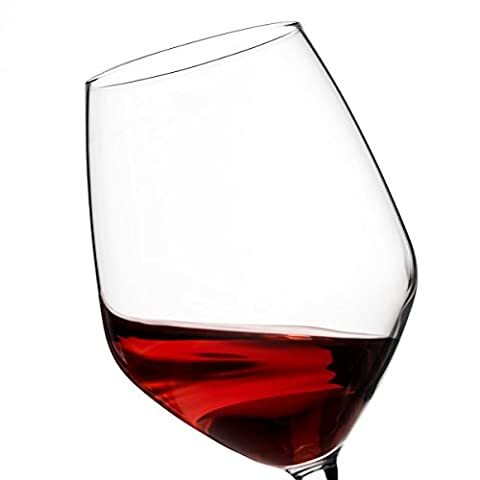 Shatter Resistant & Dishwasher Safe -These glasses are finished in the premier XLT Treatment; an innovative technology that reinforces stem resistance against the most common cause of breakage, such as washing, twisting, and daily use. 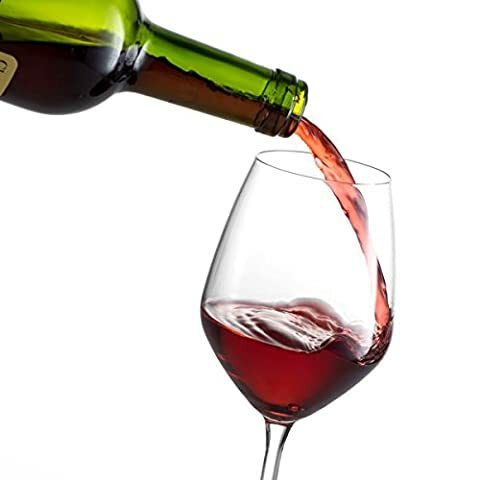 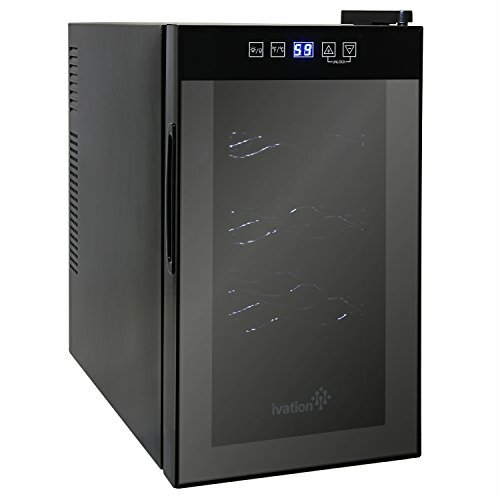 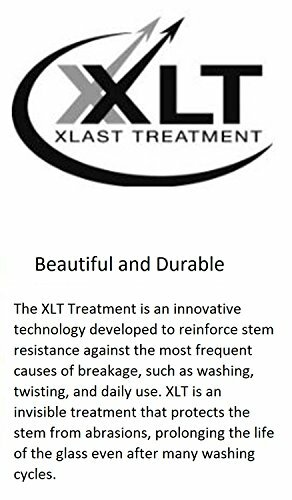 -XLT is an invisible treatment that safeguards the stem from abrasions, extending the life of your pinot noir glasses even after many hand and dishwashing cycles. 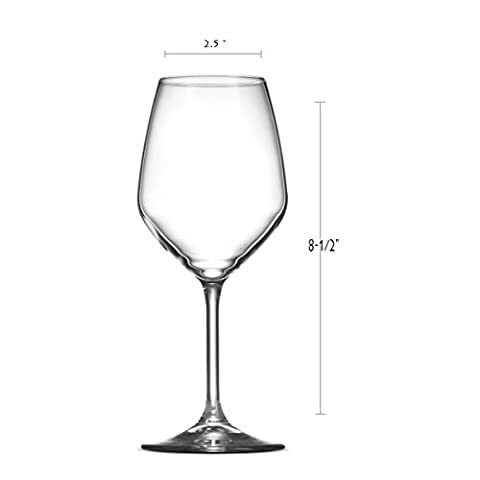 The dishwasher safe burgundy wine glass set is finished in the premier XLT Treatment; an innovative technology that reinforces the pinot noir wine glasses’ stem resistance against the most common causes of breakage.